Most people think of anger as a continuum with mild irritation at one end and rage at the other. I recently attended Sue Parker Hall’s training on “Anger, Rage and Relationship” at which she presented a radically new way of understanding anger and rage. Sue’s theory views anger and rage as two distinct emotional states which are generated from different parts of the brain and have different functions. This new understanding, which is based on neuroscience research, can help us to be more compassionate towards ourselves and help us identify ways to express anger and process rage safely. In this month’s blog post I will focus on anger and next month I’ll share more about rage. 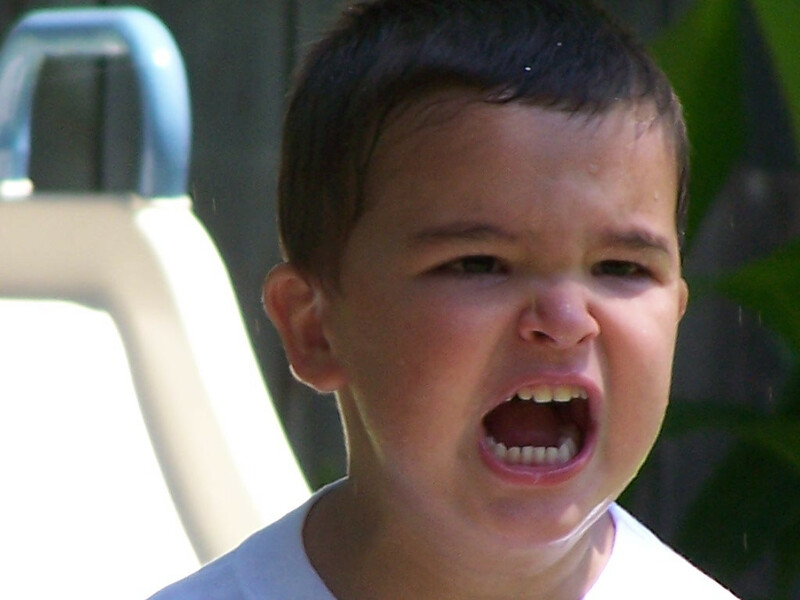 Anger is a pure emotion which develops in us from the age of 18 months – 3 years as an important part of the individuation process – the stage at which we recognise and assert ourselves as separate beings from our parents. It is a natural impulse to protect and care for oneself as an individual. Anger is a cognitive as well as emotional process and involves the frontal lobe of the brain – the thinking part – which means we have more conscious control over it than we have over rage. Rage is a survival mechanism we are born with – newborn babies cry loudly to summon help when hungry as this is their only way to survive. The rage mechanism is controlled by the primitive part of our brain and so bypasses our thinking process. What are the benefits of anger? We are often told that it’s bad or wrong to be angry and that can lead many people to suppress their anger. However, Sue Parker Hall sees anger as an important and useful emotion which needs to be expressed in order to keep us healthy. Anger gives us the energy to say “no” when someone is pushing us too far. It provides determination and energy to spur us into action to make positive changes. When expressed appropriately anger helps us to be heard, facilitates realness and intimacy in relationships and helps us to get our needs met. How does anger get distorted? However, we often distort anger and express it as aggression or turn it inwards resulting in self-criticism or even self-harm. We may fail to recognise that we are angry – it’s an emotion we often avoid or deny. This means that our anger results in no positive outcome. We don’t feel seen and heard and someone else may be hurt either emotionally or physically. Sue Parker Hall describes anger as “the vital sign of emotional life.” Expressed appropriately, anger helps us to assert who we are as a person and where our boundaries lie so we can protect ourselves on emotional, physical, mental and spiritual dimensions. Next month I’ll share more about rage and how an empathic understanding of rage can help us.